How much does Codenvy cost ? The pricing for Codenvy starts at $10.0 per month. Codenvy has 2 different plans such as - DEVELOPER at $10.0 per month and TEAM at $20.0 per user per month. Codenvy offers a Free Plan with limited features. They also offer an Enterprise Plan for their product. 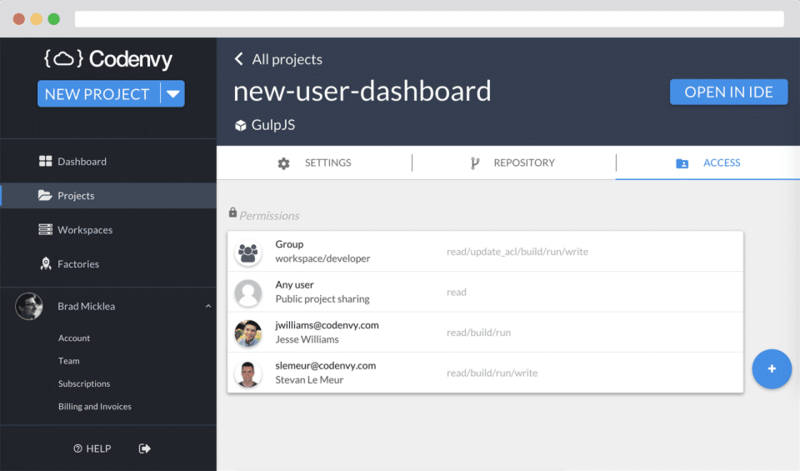 Get your free Codenvy account today, and be coding in minutes. Or download Eclipse Che for a local experience. Disclaimer: The pricing details were last updated on 28/03/2018 from the vendor website and may be different from actual. Please confirm with the vendor website before purchasing. It is just an amazing environment to code, debug and improve the effectiveness. 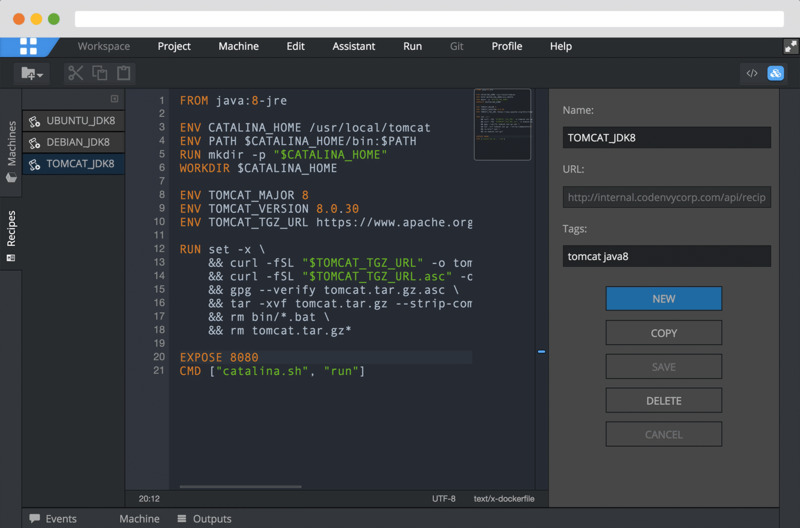 The application provides a very easy platform for developers like us to create and edit source codes and create automatic codes. You get remote spaces as per your requirements, you can take your coding environment technically anywhere! The application is easy to use and the plugins enable to work efficiently. They have provided an ample number of tutorials to use codes, both automatic and source and the best part I love about this application is its customer service. The customer service is very quick and responsive, and it supports large groups. It has a plethora of advanced features for sharing, organizing files and it supports a lot of languages. 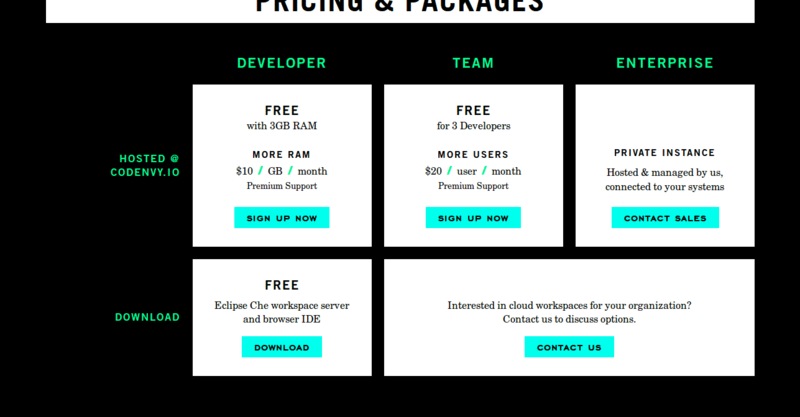 The pricing is very much fair and you can share the workspaces with team members as well as external clients and members. It doesn't support local storage and I feel they could improve the security features. The absence of keyword shortcuts is a huge pitfall. Data clutter is another turn off while I use this application. 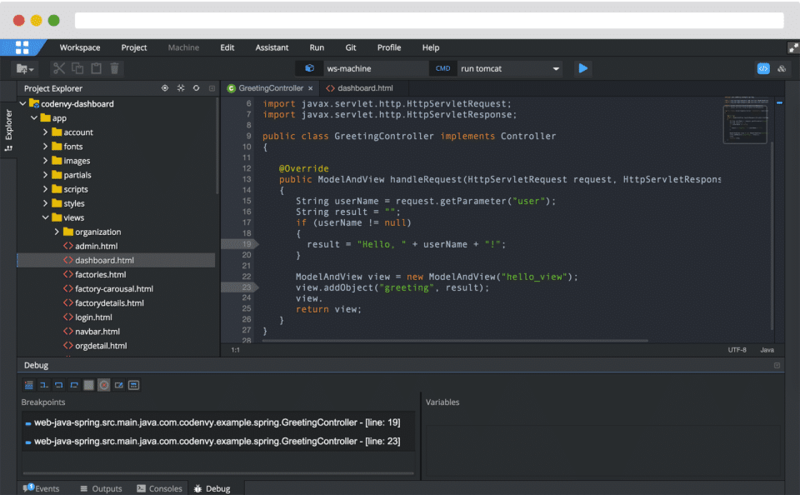 Codenvy is cloud based application that allows for the development, coding and debugging of apps. One of the best features is that it can be accessed from anywhere so that multiple people or teams can be working in the same project despite their locations. One thing that I dislike is that you have to pay for a subscription to have access to premium support. 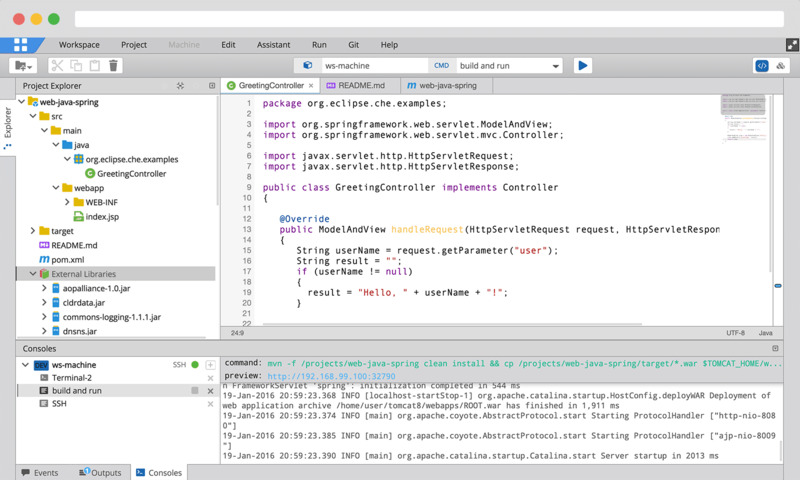 A Feature Rich Cloud based Development Environment ! 1. It is cloud based development environment and hence can be accessed anywhere on any device 2. The interface is clean and hence it is easy to learn about the tools and just getting hang of the IDE. 3. It is ideal for a web developer like me who has to work in team since it allows easy code sharing and collaborative features to allow other developers to edit and compile code on their machines. 4. It has support for all the latest technologies such as nodejs , reactjs etc. The only downside is that it is simply a cloud based interface to a development environment so it needs internet and can be heavy in data usage depending upon what you are doing. Codenvy is a great useful service. Great service to learn some coding, share, host and so much more. 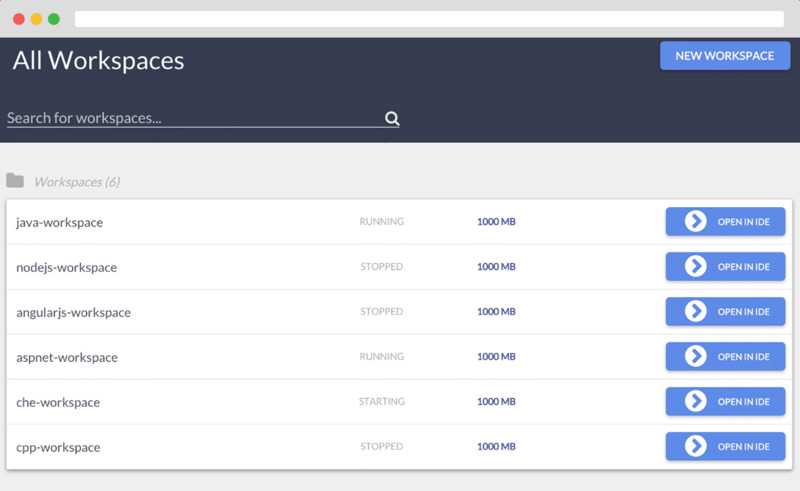 If your just starting out, all new accounts receive 3GB of space, and can use their hosts, or you can also download and set it up on Windows, Mac and even Linux! As they offer many guides to help get you started, I can't say that there is anything I don't like about them... They just offer so much to help you, whether your a beginner, or an expert! Just the what I needed! Pros: Wanted a quick platform to practice my coding skills for a job interview and just wow, what an easy interface to use. Easy compiling or even cross-compiling of code and really fast! Cons: There is no way to change the compiler versions, at least for C. Some of the libraries I tend to use are old ones not supported by the latest compilers. Overall: For a person looking for jobs or to majestic the next big move, this is just a perfect software that comes with no difficulty or training phase. 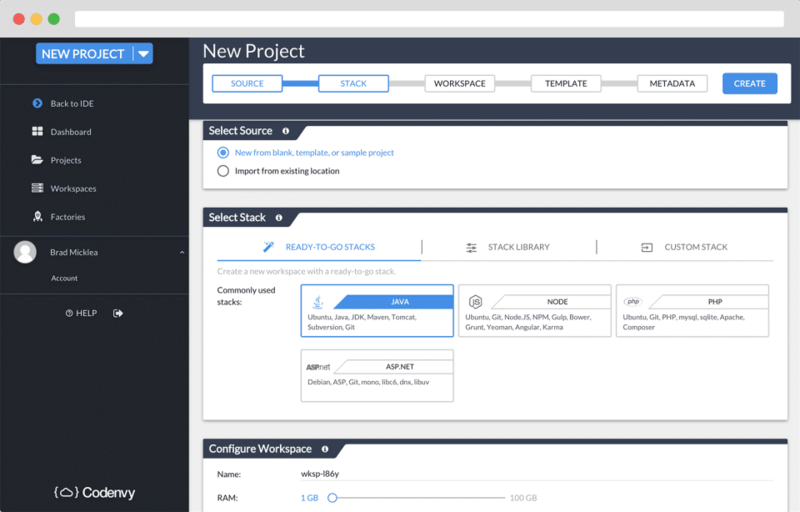 "Great tool for development and programming in the cloud." Codenvy I like it mainly because it only needs a browser on the internet for its use, it offers most programming languages ​​for development and its interface is very simple which makes it easy to work with this tool and the best thing is that it is ideal For group work, since external users can be added to the project, whether large or small and all for a great price, Codenvy is ideal for the development of applications. Codenvy is so complete that I have not found any problems yet so I do not have anything that I do not like about this great super functional tool for software development. Codenvy is recommended to increase the productivity of developers of large software projects because it allows group work can be configured to taste the same. Codenvy makes the development of our applications much easier and more efficient, because when working with collaborators, large projects become small since it saves a lot of time using this great tool as well as money and a lot of space in the work teams thanks to It is based on the cloud, so it is enough to have a good internet connection and the productivity of our work will be much higher. "Condenvy great software for development teams!" 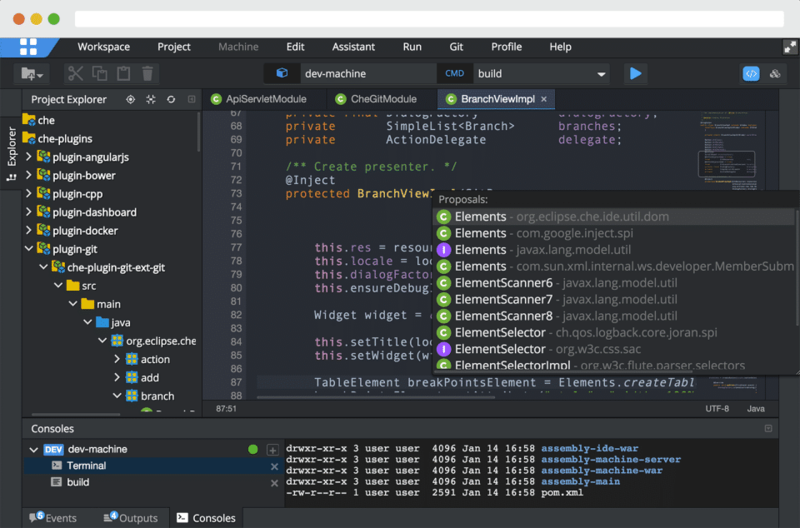 The best thing about Codenvy is that you only need access to the internet because it works from any browser and allows the integration of several development teams for the same project so that each user chooses who can be integrated into their work space, and is not required Using your IDE we can use our local IDE without any problem. Being hosted in the cloud depends a lot on the internet connection so it can sometimes get very slow when working. Working with Codenvy facilitates the work together and with external collaborators since the larger the projects, the better their operation will be because productivity is greatly increased. Codeconvy helps our team a lot because it is much easier to develop because we only have to focus on our own instead of worrying about the configuration of the IDE so that it can admit different languages ​​in our work machines. 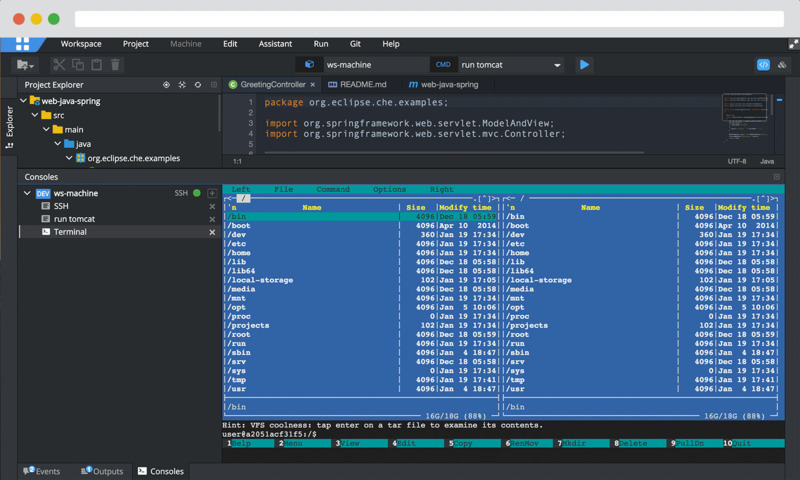 "A handy tool to write and debug code"
Codenvy targets me as a java software developer to run and debug applications in their hosted cloud IDE, while being able to share and collaborate during development and finally publish to a repository – e.g. Git – or a number of deployment platforms – e.g. 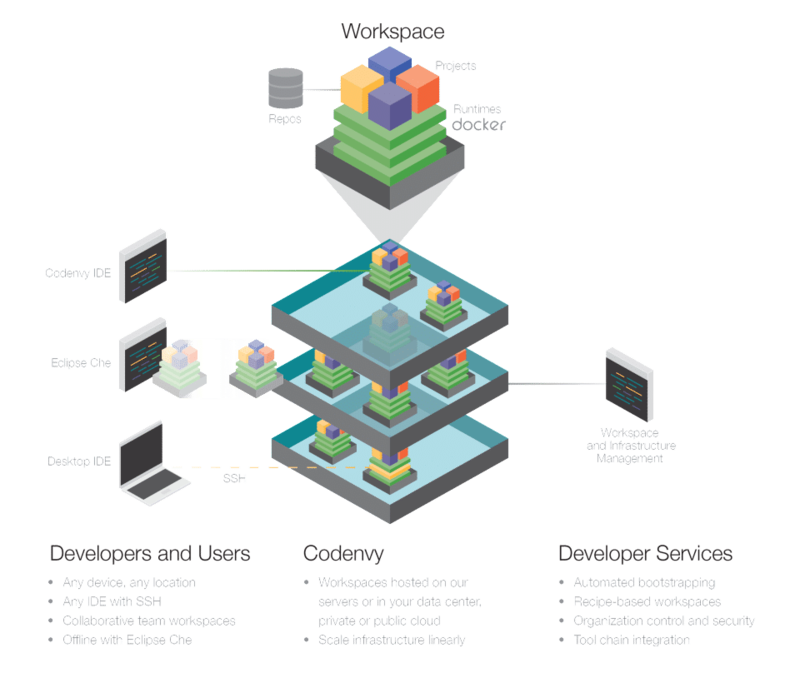 Amazon, OpenShift or Google App Engine. Always need internet. Also, hard to change mindset if using traditional IDEs for long time.